Sherwood Park by D.R. Horton is the newest of this renowned builder’s projects in Broward County. 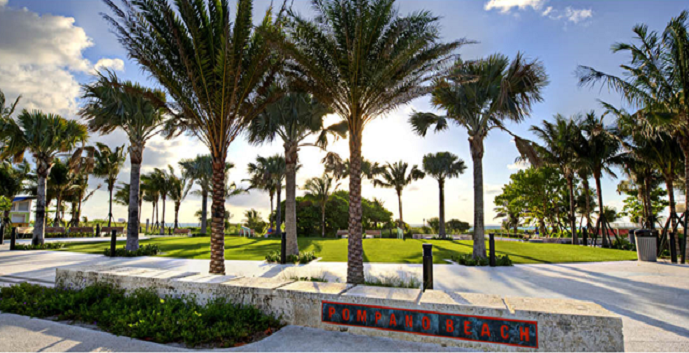 This master planned community will be located on NE 47th Place in Pompano Beach. Just minutes from beaches, shopping and dining, Sherwood Park will be in the heart of it all. The community will offer mostly 3 bedroom open concept models with plenty of space for families and the interior finishes that D.R. Horton is famous for. Sherwood Park has 2 townhome models to chose from. Alexander - 2 story townhomes, 3 bedrooms, 2 and 1/2 bathrooms, 1 car garage. 1508 sq.ft. Priced from $269,990. Quick deliver from $269,990. Crestbrook - 2 story townhomes, 3 bedrooms, 2 and 1/2 bathrooms, 1 car garage. 1446 sq.ft. Priced from $269,990. Quick delivery from $278,890.